As with health in general there are some simple rules to follow to look and feel great, and for that to reflect specifically in your skin, the rules are even more simple. It’s not ONLY what you put on your skin, but definitely also what you put in it! 1. Vitamin A: eggs, leafy greens, milk, carrots, pumpkins, liver, fortified cereals. 2. Vitamin B Complex (or combining the individual vitamin B’s: B1 (Thiamin), B2 (Riboflavin), B3 (Niacin), B5 (Pantothenic Acid), B6 (Pyroxidine), B7 (Biotin), B8 (Inositol), B9 (Folic Acid), B12 (Cobalamin). The vitamin B’s work best when they are all working together. 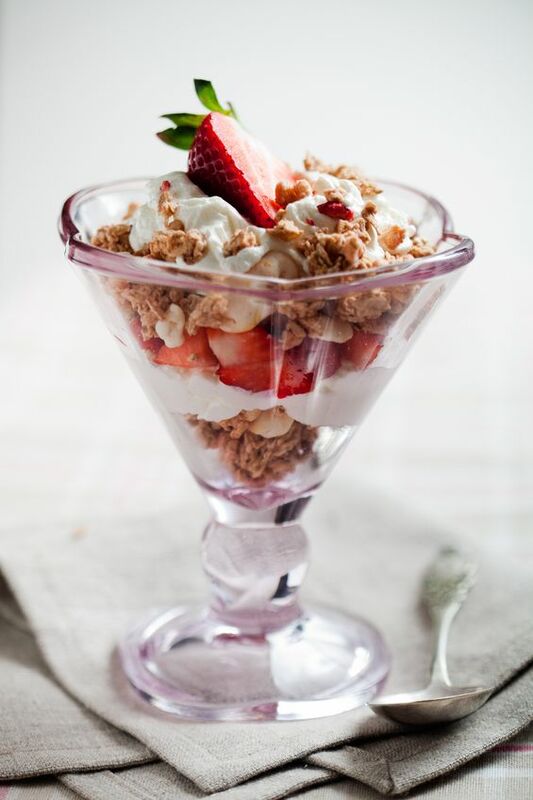 Some of the best sources of vitamin B’s & B complexes are: eggs, nuts, raisins, bananas, oatmeal, rice, chicken, fish, milk, yogurt, salmon, cheese, whole wheat pasta, potato, fortified cereals, soy, leafy greens, and legumes (i.e. beans, nuts, lentils & peas). 3. Vitamin C: The obvious sources are the citrus fruits, but actually some foods higher in vitamin C than the common citruses like orange,lemon, lime, are guava, sweet peppers, dark green leafy vegetables (kale), kiwi, broccoli, and berries (strawberries, blueberries, raspberries, blackberries). In addition to citrus and it’s even higher contributors for vitamin C are tomatoes, peas, and papaya. 4. Finally Vitamin E: Nuts top the charts for vitamin E content, but some other great sources are greens (spinach, swiss chard, veggie top leafy greens i.e. beats, turnips), asparagus, olives, and wheat germ. A few other protein rich sources are fish, shellfish, and tofu. The Linus Pauling Institute just released a new study this week stating that most women in the United States and around the world are deficient in Vitamin E which not only helps us look good but affects brain development, nervous system function, and immune function. Don’t take my word for it, here’s the link to the article for more information on the importance of vitamin E, http://bit.ly/YOA1zJ. Here are some recipe ideas to help round out a vitamin rich diets for good health and great looking skin! 1 TB of fortified granola including nuts, oatmeal, seeds, etc. For an extra burst of antioxidants & great nutty taste throw on a tablespoon of hemp seed, and you’ll be adding one of highest concentrations of protein, “good fats”, vitamins, and enzymes with a relative absence of sugar, starch, and saturated fat. Hemp seeds also deliver antioxidants, Omega 3 & 6 fatty acids, Gamma Linolenic Acid (GLA), antioxidants, amino acids, fiber, iron, zinc, carotene, phospholipids, phytosterols, vitamin B1, vitamin B2, vitamin B6, vitamin D, vitamin E, chlorophyll, calcium, magnesium, sulfur, copper, potassium, phosphorus, and enzymes. All amino acids essential to optimum health are found in Hemp Seeds. Unlike some of the other seeds, they do not have a strong, unpleasant taste, in fact, they’re quite deliciously nutty. If you look carefully at your closest health food store or read your labels closely, when you’re in a hurry, many times you can find these items in a bar when you are running behind schedule of your breakfast plan. 1/4 Cup Dried Cranberries, 1/2 Cup Fresh quartered Strawberries, and a 1/2 Cup of a great sweet orange (Cara Cara or Valencia) or some Ruby Red Grapefruit segments (both without the inner skins. Dress lightly with favorite balsamic or other vinaigrette. 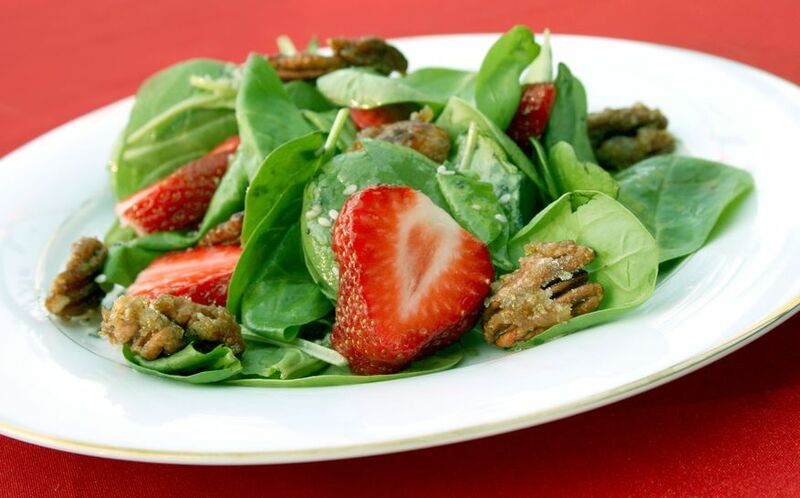 I promise you, the sweetness of the pecans and fruit combined with the crunch of the pecans, and fresh crunch of the fresh green veggies create the perfect blend of flavor and nutrition. You are loading up on those skin loving vitamins, minerals, protein, fiber, antioxidants, those wonder disease fighting agents and those that stave off the signs of the aging process also. 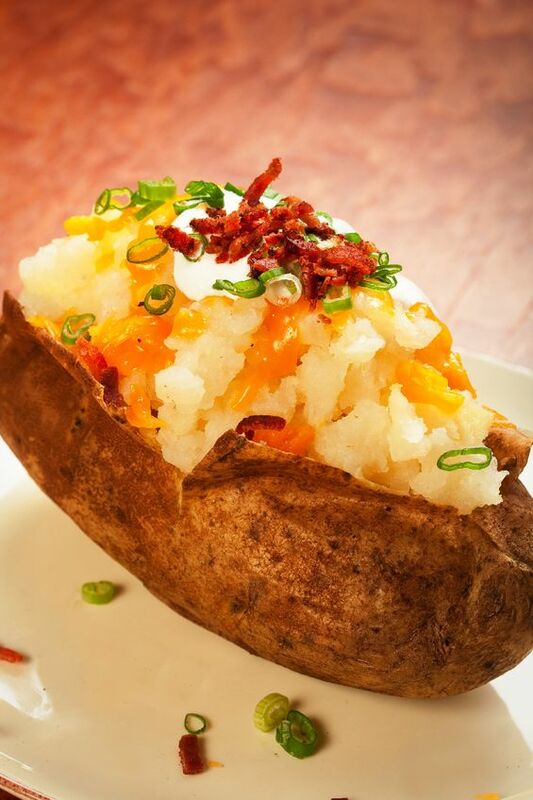 Healthy Dinner Baked Potato – that will make everyone happy! Russet Potatoes (high in fiber just like the sweet potato, 3-4 g per tater), always wash and scrub potatoes first. Leave the jackets on, the fiber & many nutrients are mostly contained there. In addition to fiber, there are many nutrients, vitamins, minerals, like potassium, fiber, Iron, Vitamin B-6, and Magnesium, and 70% RDA of vitamin C! Poke with a fork if you’re in a hurry & Microwave with a small amount of water & covered for 4-6 minutes depending on the size, until the middle is soft. If you have more time, rub with olive oil, salt & pepper, wrap in foil, and place on preheated 425 degree oven rack for 45 – 60 minutes until center is soft. Alternatively do the same thing but on the grill, usually takes 30 – 45 minutes. To shake things up, you can use an infused olive oil, rub the potato with smashed garlic & olive oil or place a few onion slices of shallots inside the foil pouch while baking/grilling. Healthier topping ideas: Butter/Olive oil blend, Uncured Turkey Bacon, sauteed broccoli, sauteed carrots, spinach, 3 minute blanched kale, 2% milk cheese, or feta, sliced olives, add some hemp seeds or pan roasted nuts to pop up that protein value, replace sour cream with fat free Greek yogurt, make a mixture of olive oil, sauteed onion or shallots with uncured turkey bacon and pour over smashed potato. You will be surprised how filling, delicious, and skin nutritious this new version can be! Healthy skin from the inside – out! ← Where Have You Been, Gypseed?